Have you struggled with challenging circumstances in your life, not sure if your going to make it through? Not sure if this “grace thing” works, thinking you need to “do” something? Then listen in to liberating good news of the gospel of grace, and be wowed at the goodness of God! 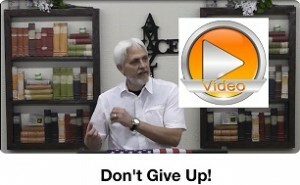 Posted on June 26, 2016 January 9, 2017 Author EvanCategories Grace Audio/Video MessagesLeave a comment on Don’t Give Up! 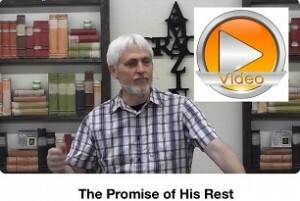 Understanding His promise of rest, is very misunderstood, especially by religion. After all how can you have rest, or any quality relationship with anybody in an atmosphere of guilt? You can’t. 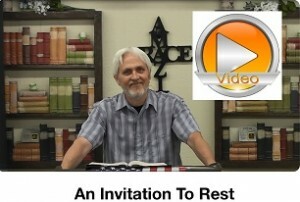 In order to experience this special place of rest, we must understand God’s love and His gospel of grace, otherwise people think the only rest for us is when we die, thus we always hear “Rest in Peace.” Why not here, why not now, why not today? Yes we can enter His rest today! Join us as we begin to discover in greater detail, the promise of His rest. Today Evan and Sue team up to bring some great news. The steadfast love of the Lord never ceases and His truth in unchangeable! What God has declared about you, and completed at the cross cannot be changed, certainly not by our fear or anxiety. Enter His rest, believe what He says about you and remember all the promises in Him are yes and in Him amen! For it is impossible for God to lie! Listen in and be blessed and enjoy grace without measure!